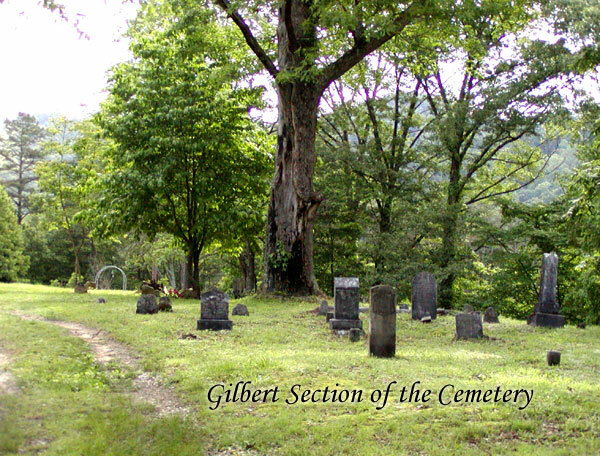 This cemetery in Owsley County, Kentucky, widely known as the Griffith (or 'Griffey') Cemetery, was actually known as the Gilbert Cemetery (or Graveyard) sometime prior to 1927*. 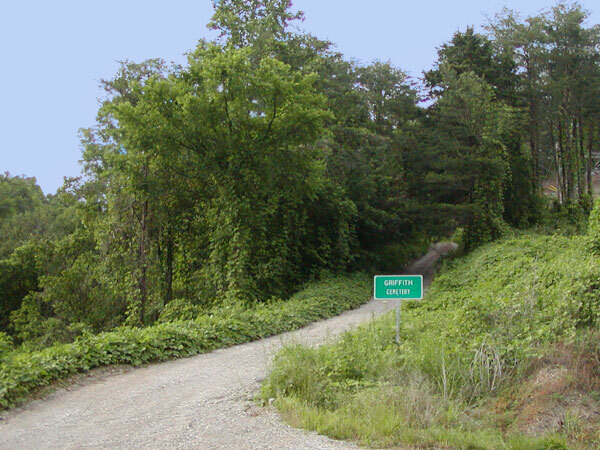 Henry Clay Griffith purchased the land in 1915 from H. C. Eversole and when Henry's widow conveyed the land to their son, Wilson, in 1935, in the description of the boundaries, the plot was called the Gilbert Graveyard, but in 1927, on Nancy Sizemore's death certificate, it was called "Griffey Graveyard". Since the Griffiths owned the property surrounding it for many years, it became known as the Griffith Graveyard, and that is what it is called to this day by the locals, even though there are NO Griffiths buried there. The Henry Clay Griffith family plot is about ¼ mile past the Gilbert/Griffith Cemetery, just beyond the David Deaton family plot. The oldest (known) stones in the graveyard are: Minerva Sizemore (w/o Henderson), died 1871, Millard Gilbert (s/o Abijah), died 1877, Daniel McCollum, died 1880, and Henderson Sizemore, died 1882. They are all buried in the center of the cemetery. The Gilbert section is in front and the Sizemore section is behind it. This appears to be the oldest section of the cemetery. At one time, there was a fence around this section. 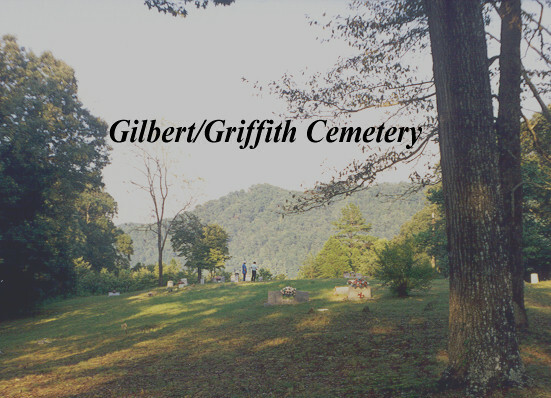 The Gilbert/Griffith Cemetery is situated on a hill off of Hwy 11, south of Booneville at about mile marker #7, just before Wolf Creek Metal, which is just before the intersection of road 2025 (or White Oak Creek road). The sign reads, "Griffith Cemetery". You can find the Griffith Cemetery on Google Maps. * Update: In the Civil War Pension record for Dependent Parents of Henry C. Duff, the burial record for Colson Duff in 1911 refers to this cemetery as 'the Old Gilbert Graveyard.' So the picture that emerges here is that this is indeed the Gilbert Cemetery, but it has, by use, become known as the Griffith. Inscriptions on stones are shown in burgundy. Information is current through 2008. Corpl, Co. G. 45 U.S. INF. CO. D 6 KY. CAV. Goddard Cemetery in Fleming Co.
Metal marker placed in the Griffith Cemetery by his wife Betty. m1 James Deaton, m2 Willie Roberts. The total number of gravesites listed above is 240. In addition, there are numerous unmarked or unreadable stones. If you have information regarding any ancestors buried here that we have not included, please notify Betty Thomas Finger at the e-mail address below. David Moore, Griffey Cemetery Records at the Owsley County Library in Booneville, KY.
Timothy and Valorie Spence, Gilbert Cemetery Records on the Owsley Co. KY GenWeb site. and personal visits to the Gilbert/Griffith Cemetery. Please send corrections or additions to betty@marchant-thomas.com Thank you! 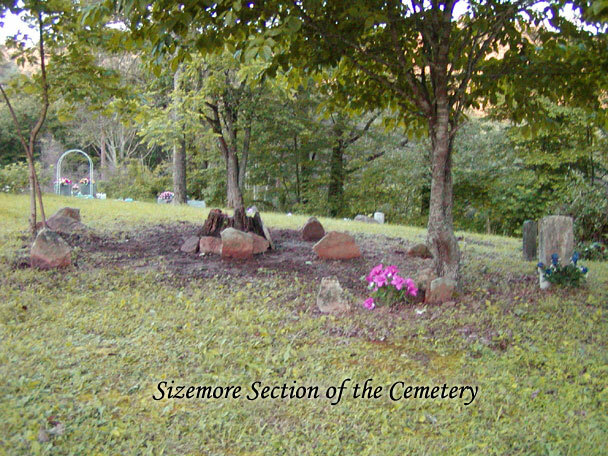 Henry Sizemore, son of Lewis Sizemore & Lillie Thomas, who occasionally served as a guide for the cemetery. And many thanks to all of the helpful & friendly people of Owsley County! & Reconstructed Marriages of Breathitt & Owsley Counties, etc. OB-M Obituary in the Beattyville Enterprise, from Margaret Millar Hayes. OB-TT Obituary in the Booneville Sentinal, from Tom Barrett.